Did DeMarcus Cousins cross the line here? 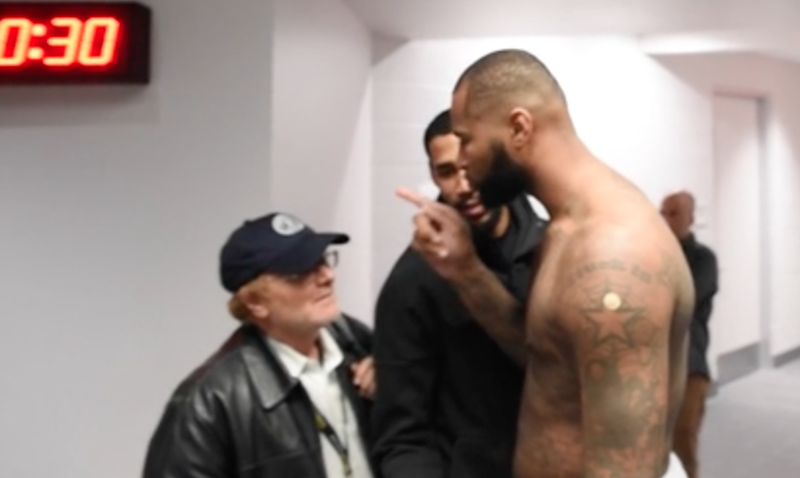 The Sacramento Bee has released footage of the Kings star threatening and cursing out Andy Furillo, along with extra footage of Cousins' "bullying." At 6 feet, 11 inches, the Sacramento Kings’ DeMarcus Cousins towers over most people, including Sacramento Bee columnist Andy Furillo. Now add to that picture this: Cousins angrily jabbing a finger into Furillo’s face, shouting in a profane and threatening manner, because of a column The Bee published last weekend. Cousins then refused to talk to any reporters in the post-game interview while Furillo was in the room. That’s a tactic he’s employed before when he’s angry about coverage, and it is behavior aimed at controlling and censoring the media. Furillo’s column was about an incident at the Avenue club in New York and a subsequent lawsuit that alleges teammate Matt Barnes choked a woman and Cousins “sucker punched” her boyfriend. The couple filed the civil lawsuit in federal court, but neither player has been arrested or charged. At the end of the column Furillo briefly referenced a well-publicized incident with Cousins and his younger brother in a Tampa, Fla., bar in May, which ended with his brother, Jaleel – who also is an athlete and public figure – arrested while friends hustled out Cousins. Cousins could have expressed his frustration in a different way instead of doing it in this bullying, intimidating matter. It seems like Furillo is just doing his job, as he has also posted on the LA riots in the past. The NBA is reportedly investigating this now. What do you think of this whole situation?